Not-for-Profit - Tavares Group Consulting Inc. 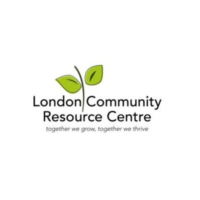 The London Community Resource Centre (LCRC) is a not-for-profit organization with a mission to improve our collective wellbeing by bringing together individuals, organizations and resources to foster community action and create positive social change within London, Ontario. The LCRC has programs in place surrounding food literacy, community development and food security. These programs include the Community Garden Program, the Grow Cook Learn monthly workshops and the annual Sprouts Children’s Summer Gardening Program. This case study surrounds Sprouts: Cultivating Eco Adventures, a children’s program which began as a pilot in 2014 and has successfully grown in 2016 to include four children’s garden locations within the city. The Sprouts Program participates in a variety of community events, including one day events at school celebrations, community events such as the Gathering on the Green, or partnerships with community organizations such as the Boys and Girls Club. The program also has weekly drop-in sessions that run throughout the summer months (July and August) that focus on the importance of children’s connection to nature, simple gardening skills and nature awareness, urban biodiversity, and the importance of food literacy. As a not-for-profit organization, the LCRC relies heavily on volunteers, seasonal staff, funding from grants and/or private funders, community partnership and overall community participation. Because of this, stakeholder engagement is essential to the organization to maintain positive relationships with key stakeholders. The LCRC needed a way to identify and prioritize stakeholder groups in order to determine the best method to engage them. Community development is another important aspect of the LCRC as it aligns directly with the organization’s overarching goals. The Toolkit approach was used to perform a sustainability gap analysis for the metrics of Stakeholder Engagement and Community Development for the Sprouts Program and to help consolidate the existing program information in order to keep the program on track and help identify areas for improvement and/or expansion. Using the Sustainability Toolkit (Toolkit), the LCRC identified five stakeholder groups; Funders, Donors, Partnerships, Participants and the LCRC Board of Directors. By classifying the LCRC’s high level stakeholder groups early on in the process, ‘active’ stakeholders could be identified and a strategy for stakeholder engagement that is specific to each stakeholder group could be developed. The LCRC defines ‘active’ stakeholders as stakeholders that the LCRC consistently collaborates with (i.e. how frequently they participate with them and their overall level of engagement with that stakeholder). A stakeholder database was created to organize this information, and included other pertinent information surrounding the Sprouts Program (e.g. community partners, attendance, etc.). The gap analysis of stakeholder engagement within the LCRC revealed the opportunity to clearly outline stakeholders for each of the LCRC’s other programs. As a result, the LCRC will add stakeholder information for the remaining LCRC programs to the existing database. The Toolkit framework also enabled the LCRC to identify gaps in the existing processes and procedures for the Sprouts Program, enabling them to update or create procedures as required. For example, a Sprouts Program Manual was developed centralizing all of the important program information into one document in order to provide future staff and volunteers with a single resource outlining the goals, objectives, themes and activities of the program. In addition, a 2016 Summer Student Training Manual and orientation was developed in order to properly train the four summer students (Children Garden Assistants) to carry out their tasks and establish a baseline for training in the coming years. It was also determined that a Communication Plan was needed to outline the organization’s communication channels (i.e., social media, newsletters, website, etc. ), provide a communication strategy, and procedures/methods of communication for the organization as a whole. This plan ensures that the organization’s communication with key stakeholders is consistent. Through the gap analysis, the LCRC reviewed all 13-steps of the Toolkit approach, and created an action plan that will enable them to achieve Level ‘A’ for the two chosen metrics. Policies, procedures and documents that were identified were completed during the timeframe allotted while recommendations were also left for future staff. As mentioned above, the Sprouts Program was used as a case study to show how the Toolkit was used to consolidate data, procedures and policies for the program itself and organization as a whole. Essentially, the gap analysis allowed the LCRC to create an action plan that will provide the Executive Director and future staff with the ability to continue this process with the other programs carried out by the LCRC. Overall, the LCRC and the Sprouts Program benefited greatly from the Toolkit as it aligned with the organization’s goals and helped with the sustainability of the program and organization in the years to come.